Be the first to share your favorite memory, photo or story of Aelred . This memorial page is dedicated for family, friends and future generations to celebrate the life of their loved one. Aelred W. “Al” Schollmeyer, age 85 Shullsburg, WI passed away Sunday, January 27, 2019 at Lafayette Manor in Darlington, WI. He was born June 3, 1933 the son of Charles and Percilla (Reuter) Schollmeyer. Al was united in marriage to Marilyn L. Duerr on September 11, 1954 at St. Rose of Lima Catholic Church in Cuba City, WI and were happily married for 60 years. She preceded him in death on November 30, 2014. Al farmed with his father, Charles, near Cuba City and had a milk hauling route until 1960 when Charles bought a farm near Shullsburg. Al and Marilyn lived on the farm until 1986 when they moved to the city of Shullsburg. Al also worked many years for the Seymour Township. Al is survived by his children: Mary (Paul) Becker of Rio, WI, David Schollmeyer, Wally (Suzanne) Schollmeyer, and Mike (Julie Lawrence) Schollmeyer all of rural Shullsburg, Richard (Judi) Schollmeyer of Stoughton, WI, Jane Schollmeyer of Spokane, WA, and Steve (Marcia) Schollmeyer of Middleton WI; his grandchildren: Pete (Kathy) Becker, Amy (Mike) Madison, Jason (Daisy) Becker, Jeff (Andrea) Becker, Lisa (Mike) Clark, Emily (Adam) Redfearn, Joe (Katelynn) Schollmeyer, Katie (Brad) Droessler, Matthew Schollmeyer, Mark (Annie) Schollmeyer, Allison Schollmeyer, and Ryan Schollmeyer; 15 great-grandchildren; and one sister: Marie (Armin) Rubbert. He was preceded in death by his parents; a sister; four brothers and one sister in infancy; and one great-grandson Hudson in infancy. Al was a member of St. Matthew’s Catholic Church in Shullsburg. He was also a proud member of the Knights of Columbus and in 2009 was recognized for 50 years of membership. Al also worked for many years as a patrolman for Seymour Township. 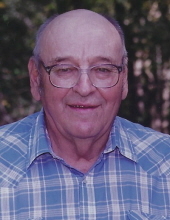 Al enjoyed hunting and fishing with his sons and grandchildren. He was also a member of the Benton Saddle Club for many years. Al cherished his family, especially his grandchildren and great-grandchildren and all the memories they were able to create together. He will be sadly missed and fondly remembered by his family and friends. A Mass of Christian Burial will be held Friday, February 1, 2019 at 12:00 P.M. at St. Matthew’s Catholic Church (344 N. Judgement St., Shullsburg) with Rev. Joji Reddy of Holy Rosary Catholic Church in Darlington officiating. Burial will be at Our Lady of Hope Cemetery in Seymour Township. A visitation will be held Friday, February 1, 2019 from 10:00 A.M. until 11:45 A.M at St. Matthew’s Catholic Church. The Erickson Funeral Home in Shullsburg is serving the family. Online condolences may be expressed to the family at www.ericksonfuneralhome.com. For those who prefer, a memorial fund has been established in Al’s name. To send flowers or a remembrance gift to the family of Aelred W. Schollmeyer, please visit our Tribute Store. Memorials may be written out to "the family of Aelred Schollmeyer"
"Email Address" would like to share the life celebration of Aelred W. Schollmeyer. Click on the "link" to go to share a favorite memory or leave a condolence message for the family.